Frozen pizzas are ubiquitous. They’re seemingly available everywhere from truck stops to gas stations and, of course, the frozen food aisles of places like Wegmans, Tops and Super Walmart. If you’ve ever eaten frozen pizza before– and chances are you have–you know that sometimes they can taste great, but most times they just don’t compare to fresh pizza like the kind you’d get from Bocce’s. With frozen pizzas, you have to buy them, store them in your freezer, and, eventually, heat them up in an oven or a microwave. With fresh pizza, you can either go to the local Bocce’s to pick it up, or, better yet, have it delivered nice and warm right to your home in time for your party or the Bills game. Imagine it’s really cold outside in Buffalo in the winter. You have no frozen pizzas at home but you’re craving pizza like there’s no tomorrow. 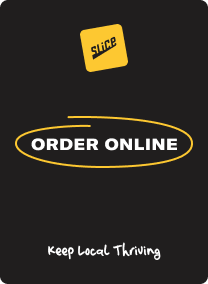 Rather than dress up to go out and get your pizza, isn’t it nice to call Bocce’s, tell them what you want, and have it delivered to your door, through the snow, nice and warm and fresh? You bet it is! Bocce’s Club Pizza has been in business for many, many years, and that’s because people love Bocce’s pizza. Don’t waste your time with frozen pizza; get fresh pizza from Bocce’s instead. Call the Amherst location at 833-1344 or the East Amherst location at 689-2345 to place your order today.